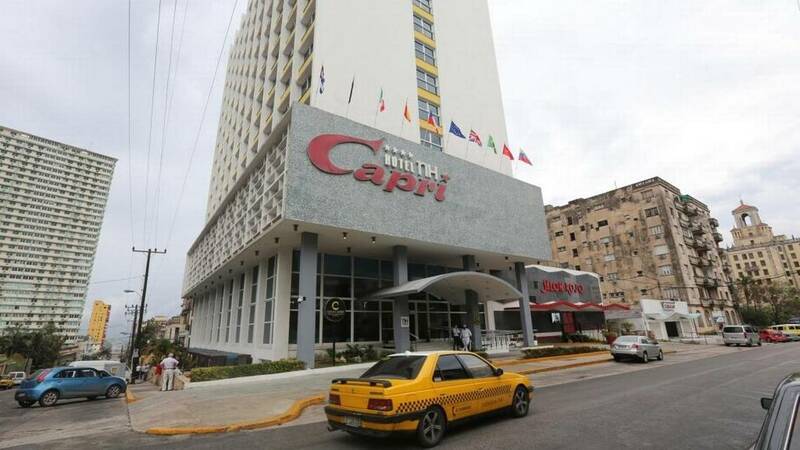 The new radome in Cuba is unprecedented. Who is behind it? 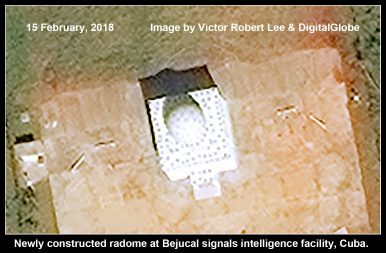 Satellite images from February and May 2018 show a newly constructed radome on the signals intelligence base near Bejucal, Cuba. Its protective dome and elevated mounting make it the first of its kind among the numerous long-standing SIGINT antennas at Bejucal, which have been used to intercept electronic communications from the United States. The new steerable parabolic antenna and its spherical enclosure (together called a radome) were erected on a site adjacent to other known Cuban surveillance antennas south of Havana near the town of Bejucal between March 2017 and February 2018. The functions of the new antenna are not discernible from the current satellite images, but similar antennas have been employed for signals interception, missile tracking, satellite uplinks and downlinks, radio communications, tracking of objects in space, and in some cases to disrupt satellite communications. The radome, approximately 6-7 meters in diameter, sits atop a square building approximately 11-12 meters wide. If the antenna can be tilted to horizontal – a common capability – its elevated position could also enable direct communications with vessels at sea or other signal sources on the horizon. The Bejucal signals intelligence site had a relatively static number of parabolic antennas –approximately two dozen– from 2010 until 2016, and only one of them, considerably smaller than the new radome, was covered, although such coverings are common in many other nations, particularly at facilities with military or intelligence functions. Such specialized coverings can protect from weather and wear, but another advantage is that they conceal the orientation, and thus the possible purposes, of the antenna within. Satellite images of the signals intelligence base near Bejucal also show that two smaller steerable parabolic antennas were installed in April-May 2017, the same period as the beginning of construction of the new radome. These antennas, located 460 meters south of the newly constructed radome, are linked by above-ground conduits to two other antennas installed as recently as May 2016. 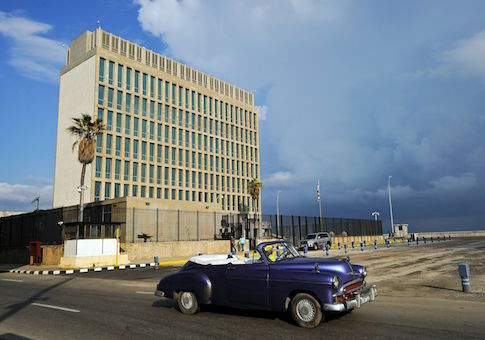 Nineteen American citizens have reported symptoms similar to those suffered by U.S. diplomats who had been identified as victims of alleged attacks in Cuba. 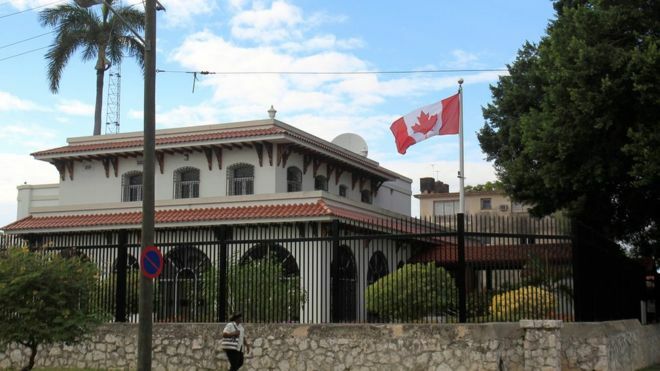 “We continue to urge U.S. citizens to reconsider travel to Cuba,” she added. In January, the State Department changed the wording and currently recommends “reconsidering” traveling to Cuba. 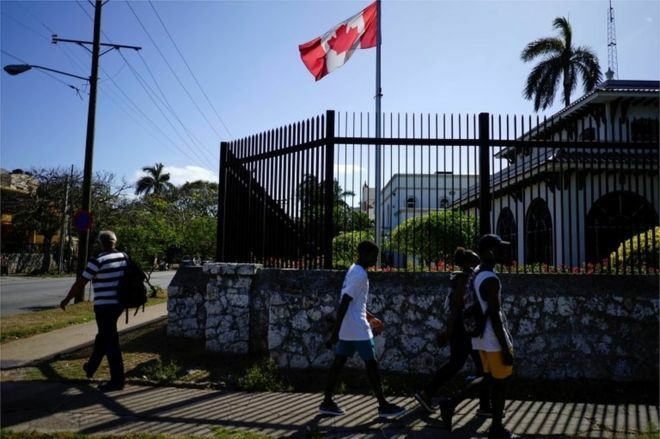 However, officials stressed that the situation on the island had not changed, nor their message to American travelers. The list of possible symptoms remained unchanged in the new travel advisory.